With attendances reaching three million, and £2.5 billion wagered on races each year, it is no surprise that greyhound racing remains one of the UK’s most popular spectator sports. Twenty-five tracks across the UK offer quality restaurants, bars and corporate facilities envied by the rest of the entertainment industry. Between them, they host 70,000 races a year. With races taking place every 15 minutes at most tracks, it is non-stop action. The most popular way to bet is on the track’s own tote but many punters like to bet with the often colourful bookmakers who ply their trade by the side of the track. Most bookmakers will only accept win bets and punters take the price on the bookies board at the time they strike the bet. If you can’t make it to the track in person, you can still experience the thrill of the dog track with befair’s The BetEngine App. 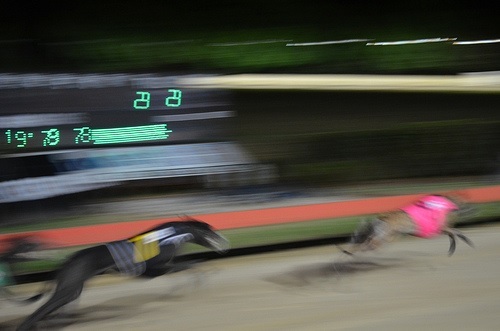 Tote Bets• Win only – Choosing a greyhound to be first past the post. • Place only – Choosing a greyhound to be either first or second. • Forecast – Picking two greyhounds to finish first and second. A popular bet is a reversed forecast which means your choice can be first and second in either order. • Trio or trifecta – Very much the same as a forecast but, as the name implies, punters have to pick the first three home. • All-Ways Forecast – Pick threedogs & predict the first and second in ANY order which is six bets in one. If any of the three greyhounds fill first and second, the bet has been successful. • All-Ways Trio – Pick three dogs & predict the first, second and third in ANY order which is six bets in one. 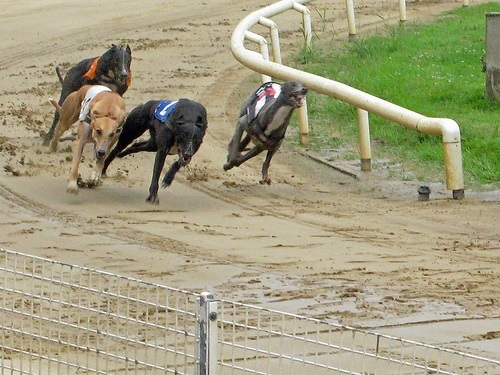 Greyhound Race Form: The form of a greyhound has to be judged from past race performances. Many factors come into play for punters assessing the current ability of a dog. These include how fresh the dog is or how consistent the dog is. Official track handicappers make an assessment of how slow or fast they think the track is running on the day and add time (in positive or negative amounts of hundredths of a second) to a dog’s time to get the calculated time which appears on the race card form guide. What you also need to know is that this fake sport kills and injures a huge amount of these dogs so that people can lay bets. Its one of the most inhumane attempts at entertainment there is. If you love animals you really don’t want to be supporting dog racing. Its inherently cruel and barbaric.